While all pickups get their distinctive tonal characteristics from internal components or from how they’re assembled, the distance between the guitar’s strings and the pickup’s pole pieces plays the greatest role in the overall tone coming out of the amplifier. Thankfully, all that’s needed to find the ideal pickup height is a ruler and a screwdriver. Electric guitar pickups work almost exactly like a radio antenna: They convert the string’s vibration into an electromagnetic signal, which gets sent to an amplifier, pushed through a speaker, and eventually into listeners’ ears. Every sweeping solo, frantic feedback, and wailing wah is produced by the same rudimentary circuitry. Measure the distance between the bottom of the string to the top of the bridge pickup's pole piece (within 1/64th of an inch). 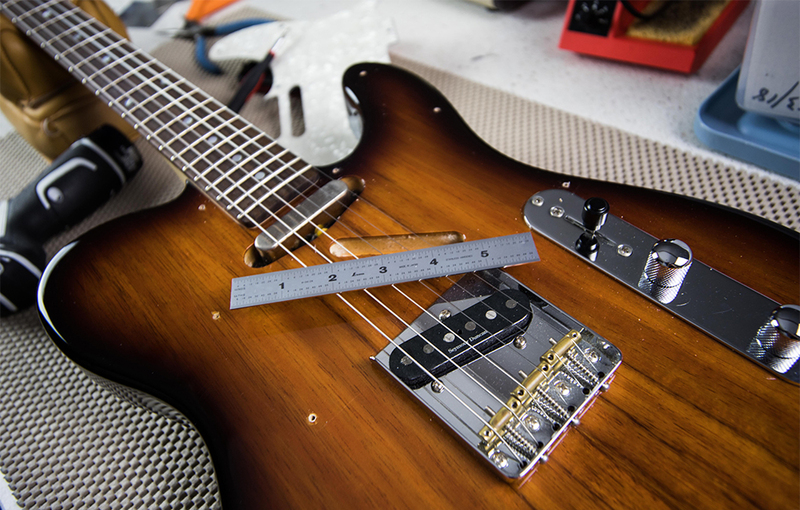 Pickup manufacturers often have a recommended set of distances for their pickups. 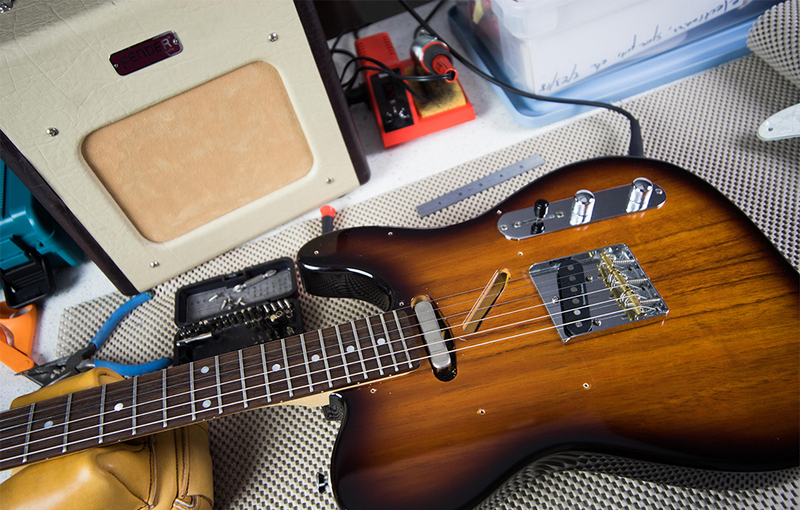 Fender, for instance, suggests 6/64ths to 4/64ths for their standard single-coil pickups. Humbuckers can run a little closer to the strings (Gibson recommends 1/16th of an inch for the bridge pickup and 3/32nds of an inch for the neck) because their magnets aren’t as powerful as single-coils’. P90s, blade-style pickups, ceramic magnets, and Lace sensors all have different suggested pickup height, but it’s up to the player to dial in the exact distance, depending on the kind of strings, how the player plays, or how the guitar is set up. 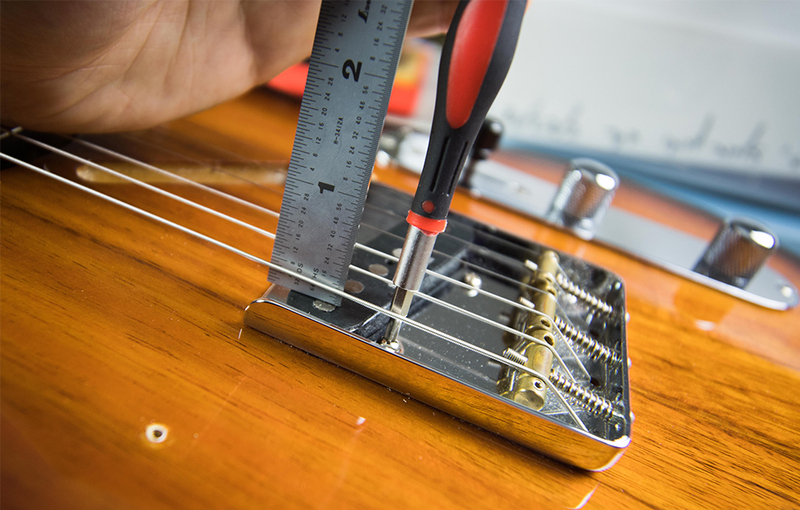 When adjusting the neck pickup height to match the bridge pickup’s volume, it’s important not to raise it too high; if the magnet gets too close to the string, the magnetic field can pull the string out of its rotational arc and cause the string to play out of tune. This may sound silly, but it happens pretty frequently. Have you ever heard a guitar’s bass strings “warble” when being fretted up the neck? It’s likely a neck pickup riding too close to the strings.